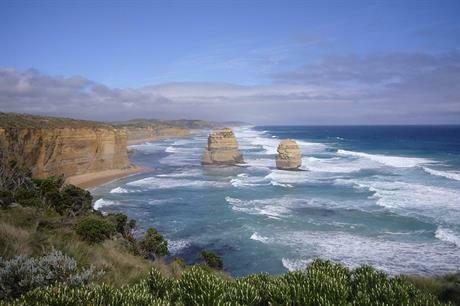 The Star of the South project is to be located between 10 and 25 kilometres off the south coast of Gippsland, Victoria, and is expected to have a capacity of up to 2GW. To date, it has been developed by Offshore Energy, a company established in 2012 to explore the potential for offshore wind in Australia, with input from federal and state governments for the creation of a formal proposal and feasibility statement. Further development of the site will be undertaken jointly by the partnership, the two companies stated. Offshore Energy is not working on any other projects, according to its website. The company’s managing director, Andy Evans, said: "The partnership brings together local knowledge and proven international experience that we believe will deliver many benefits for Australia, Victoria and local communities." Copenhagen Infrastructure Partners (CIP) will act on behalf of the the Copenhagen Infrastructure III K/S fund – which has previously invested in renewables projects including the 588MW Beatrice wind farm being built in the UK North Sea, and the 402MW Veja Mate project off the coast of Germany – in the partnership with Offshore Energy. Torsten Lodberg Smed, senior partner at CIP, added: "Star of the South offers a unique opportunity within offshore wind in a new market." Star of the South will comprise up to 250 turbines, Offshore Energy stated. It is to be connected to shore via four 500MW high-voltage transmission cables, comprising 95 kilometres of cabling, directly to a substation near the Latrobe Valley about 150 kilometres east of Melbourne. The Victorian state government has previously expressed its hope for the project to be operational in time to contribute to its target of sourcing 40% of its electricity from renewables by 2025.